Theme Park Suppliers, Operators, Consultants and Contractors: read this! Welcome! This is Stefan Zwanzger, also known as The Theme Park Guy®. I am glad you have found us. Since having started my journey back in 2007 – and I have spent the price tag of a roller coaster doing this – I have acquired field insights into over 350 theme parks and attractions covering 150 countries. I have been on the ground during all stages of development, examining construction sites, successes and failures, having met and knowing over a thousand park owners and industry professionals in person.
" The world's foremost authority on theme parks "
" Man Spends Life Traveling the World Visiting Theme Parks "
This, coupled with tons of inside statistics gathered through our platforms themeparX™ and The Theme Park Guy® – these reach millions of visitors – allows me to get a little closer everyday to understanding what distinguishes an attraction that works from one that doesn't. I may assist you on your journey, and do so very efficiently. Suppliers & Manufacturers, Owners & Operators and Executives, HR and Job Seekers. I look very much forward to hearing from you! Setting up a theme park is a challenging and risky undertaking. A flawed concept can ruin it right from the start, and you may never be able to fix the initial mess later on. Breaking even takes 7 years or longer. There are plenty of theme and water park consultants, designers, ride suppliers and operators out there. Most of them I have met in real life. I know what they did, when they did it, and in the majority of instances I have witnessed on the ground how their product and/or work performed in the end.
" 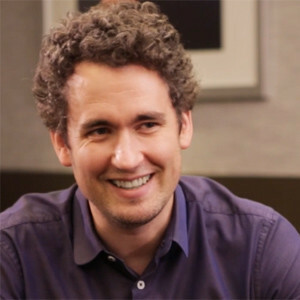 Stefan probably has more on-the-ground knowledge about the global theme park business than anyone in the world "
I have had countless in-depth conversations with investors and government officials behind the projects, and I have learned and continue to learn what works and what does not. You will find few people who are more committed to this industry than I am. In many instances I will not be the right person to get your project off the ground, but I will perfectly be able to direct you to a company or individual who fits your vision, requirements, experience and budget. I can get you in contact with the right people, for your specific circumstances. Call or email me here. I strive to get back within 24 hours, even on Sundays. If you are a developer interested in working with an IP [intellectual property], such as a Hollywood studio, on developing a theme park or attraction, please proceed to our LBEIP website. For all other requests, please refer to our fees. I'll be frank. Some theme and water parks generate a good and healthy long-term return on investment. Many of them do not. Here's a common story: unwary & excited governors dance the tango with unwary & excited investors and decide to bring that leisurely missing something to their country or community. They haven't done this before. But they feel they know how it should look (like Disneyland) and that it will create local jobs and attract international tourists. Since they associate Disney quality with a price tag of billions, they will look for the best value in negotiations. And they will find consultants, designers and suppliers who are happy to assist them within the budget constraints.
" Independent, cosmopolitan and visionary entrepreneur. Stefan is one of the few rainmakers you may meet in your life. " They will then get a theme park, complete with a Wild West Town, roller coaster, log flume ride, dolphin show and a costumed oversized yellow plush dragon character to hug the kids. The whole thing will open. And yes, people will come. Many people. They will come once. Not twice. With time I have come to understand that people don't fall for this, even if they live in an underdeveloped country and have never traveled. Everybody can sense the love in things. And there's no warmth in the eyes of the oversized yellow plush dragon. Another lousy theme park is born. If that was you who danced that tango, you will subsequently struggle to maintain the park, and after a couple of years misery, either decide to abandon the project, or demolish it and sell the land to a juice factory warehouse. The tanned juice factory owner will shake your hand, and with a healthy smile ask you if you have tried space tourism, too. No, you haven't. This experience will have made you look 30 years older. And trust me, it has happened many times. So, why not invest in a casino, mall or parking lot instead? Because you can get it right, too: theme and water parks, if crafted with passion, can create an emotional attachment – like Star Wars, Indiana Jones and Harry Potter do. Casinos, malls and parking lots cannot.
" We engaged Stefan on the spot, and his feedback was invaluable to us! " Real Estate Millionaire & Founder, First Idea Ltd. The movie business is all about taking the risk of building emotional attachments – and they make money! Now, you are even better off than them, because theme parks can't be fileshared. Those that manage to build up emotional attachment are profitable and grow healthily. I can help you avoid grave mistakes right from the beginning; blunders that can cost you millions or even your entire investment. 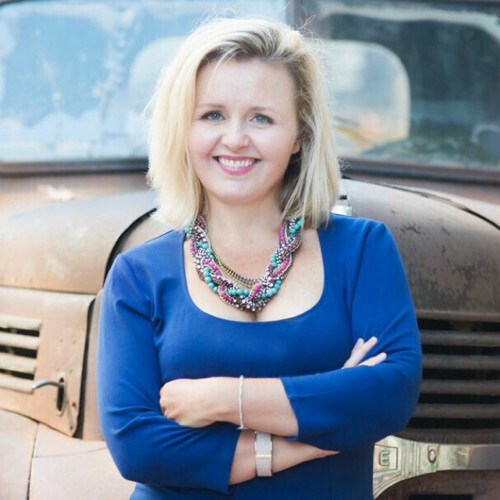 I am someone with an affinity for taking risks myself – I became an entrepreneur at age 19, hold German citizenship but haven't lived back home since 2005 and spent a fortune visiting and trying to understand theme and water parks worldwide. No one else ever did that. If you prefer consulting with somebody who has a wide angle on life, not a comfort zone guy, I am the right man for you. And if I don't know something, I will point you to the person who does. Contact me here. Don't save on the INITIAL designers & suppliers. An ugly theme park is impossible to fix. I've never seen one turn around, anywhere. We are working on a unique, game-changing attraction concept. Inquire here. ...and many more, e.g. Deutschlandradio (Germany), Ekstra Bladet (Denmark), Focus (Italy), Foreign Policy Mag (USA), Khaleejesque (Kuwait), La Repubblica (Italy), View Magazin (Germany), etc. Having met over a thousand theme park professionals personally over the years, I can perfectly help you find executives and creative specialists for your project – CEOs, GMs, VPs, project managers, designers, engineers, marketers. I have a professional attitude and results can be achieved fast, much faster than non-industry related headhunters can deliver. Since 2013, we have referred and placed many theme park executives across Asia, the GCC and Africa. Contact us!
" Stefan is very professional to work with "
Even the biggest theme park brands pay too little attention to safeguarding what is supposed to stay confidential. During my years of scrutinizing theme park construction sites, I found myself in situations where I could have picked up top-secret contracts and blueprints without even trespassing. Just a little unwary stupidity can leak ride systems, technology and storylines out of your control for good. Being the guy on the other side, who appreciates seeing all these leaks on his website, I can discuss strategy with you on how to avoid this from happening. Our themeparX™ Construction Board has ALL your potential clients on-site, many of them silent readers. Over 100k (!) visitors have left their email with us, so we know who is watching. 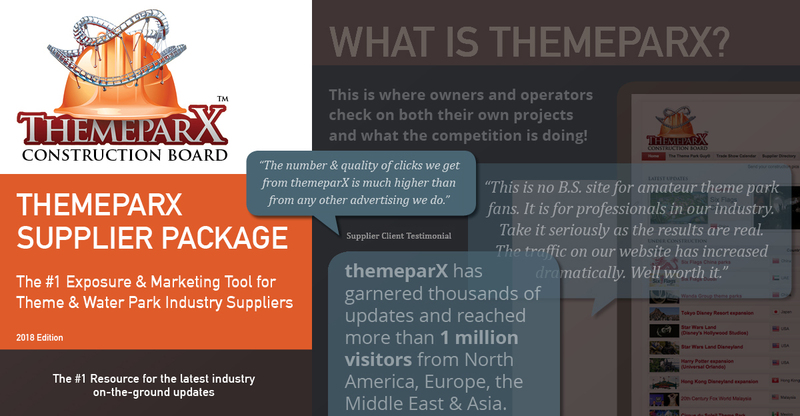 The themeparX™ Supplier Account is NOT mere 'marketing' or 'advertising'. It's a strategic partnership in the online space that creates a different reality for your brand's internet presence & visibility; a tool designed to get you quality leads and – most importantly – an ROI. Not only do we provide those who sign up with much more global brand exposure than all trade shows combined, we are committed to providing you with a lasting edge over your competitors. In fact, themeparX is the only tool out there allowing you to be found when people google the projects you've worked on. And early birds catch the worm: we will never work with more than 100 suppliers. being credited & linked from the construction page of every project you were involved in. Powerful! SEO-power links to your website. This works wonders for most clients. a dedicated login allowing you full control over what's displayed on the live sites. Email us and ask for more information! We will get back to you within 24 hours, Monday to Sunday.
" This has worked very well for us! We have noted a considerable increase in quality leads coming through our website. " " The number & quality of clicks we get from themeparX is much higher than from any other advertising we do. " " This is no b.s. site for amateur theme park fans. It is for professionals in our industry. Take it seriously as the results are real. The traffic on our website has increased dramatically. Well worth it. " " From #7 to #1 in Google in 3 days. That's pretty good for a start! " " Marvelous work! We now have a lot of traffic on our site, thank you." " Delighted to be on board with themeparX. Excellent marketing tool invaluable for theme park suppliers." " We signed up with themeparX (back in 2015) and the results were incredible "
" After setting up our account, it is so much clearer now. Really clever how the theme parks' reach are utilized to create exposure for suppliers, to everyone's benefit." " Visitors originating from the themeparX campaign spend an average of 5 minutes and 10 seconds on our website. Very good!! " " I just logged into our supplier account & made some changes. Very easy to use, I like that. " " Quite fascinating outcomes right after signing up. Good job, Theme Park Guy! And yes we do get fresh leads and deals originating from our website! " " Signing up with themeparX has helped a lot with gaining more visibility in the market, and we love to observe how our search engine rankings are getting better every day. " Markus Beyr, Founder & CEO @ATTRAKTION!
" We are happy to be on board themeparX. It’s an invaluable tool for us to drive more traffic towards our site and drive higher sales. Thanks Stefan!! " " We measure all our marketing efforts, and themeparX is delivering us qualified leads. " " Our Theme Park IP platform LBEIP.com is fully integrated with themeparX and receives a perpetual stream of leads from serious developers and IPs. Don't underestimate the internet! " " We would like to renew our commitment with themeparX for next year. " " How can we pursue an exclusivity agreement? " " Can you confirm the rate for the renewal? " " We will continue our subscription once again "
" I love themeparX. It's like the oracle of the theme park world! Thanks for making my job easier! " " Great focused delivery tool for a very specific market. " " When it comes to theme park construction updates, there really is no alternative to themeparx.com "
" Since I have been travelling a lot in recent years, one way to keep a pulse on the industry is by visiting the themeparX platform. Although other sites do a great job at broadcasting the latest announcements, a lot of projects fizzle out. I know a lot of other insiders that use the website frequently to keep up to date on the industry. " Did you know? themeparX founder Stefan Zwanzger was a pioneer in the field of performance based online marketing in the late 90s (see here) and made a million out of $1 in his early 20s with precisely that. The themeparX supplier account is a tool designed to give you a lasting edge at the expense of your competitors, and we have committed to working with no more than 100 suppliers in total (we aren't there yet). Setting this cap allows us to provide maximum value to our customers. Don't wait for too long! Email us and ask for more information! Given my background as a filmmaker and cartoonist, ride design is my true delight in the theme park industry. This is what I really want to do: revolutionize the ride experience and bring it much closer to the adventure, dimension and depth of performing and visual arts, motion pictures, and real-life interaction. The Theme Park Guy® has been featured in countless publications such as AP, CNN, Fast Company, Focus, Foreign Policy, Frankfurter Allgemein Zeitung, Huffington Post, La Repubblica, LA Times, The Telegraph, The Unofficial Guide to Disney World, and The National, among others. If you are simply looking into a quote for a park opening, or an opinion, give me a call on +65 9448 2753, I'm always happy to help! Collaboration on theme park related stories is also possible, please send me an e-mail. As you can imagine I have spent a small fortune taking all these theme and water park photographs around the world. If you'd like to use up to three of them online keeping the watermark, you are invited to do it for free, as long as you place a visible link to my site. If you are looking for high-res versions without the watermark for your print publication, please get in touch with me for pricing. You will then receive written permission to use them in that specific edition and a proper invoice. I receive a lot of calls and requests daily. To make sure we get the opportunity to speak, please do send a quick message first, then call. Your message has been sent. I will get back to you shortly! I confirm that I have acknowledged the rates/fees below. US$7,500 retainer + 1 month's salary commission. Very reasonable. 50% of the retainer will be refunded in the (very unlikely) event no matching candidate is found within 7 days. I know over 1,000 theme park professionals in person and can perfectly point you to the right people for your project. Please refer to the consulting fees above. Free for publications reaching 1M. Otherwise US$900 flat rate + US$500 per picture. Thank you for your payment. I will get in touch with you as quick as I can.